The boyfriend jean trend has been around for awhile now. And, I will be the first to say, at first, I loved it, but only on other people. Since my style has always been pretty “tailored” looking, I didn’t really jump on the bandwagon, until now. In the past, when I tried the “boyfriend style” jeans on, it was either my tops felt too dressy or my pointy toe shoes “didn’t look quite right” with them. However, the longer the trend has stayed around, it has grown on me, a lot. I love the fact that you can wear it either super dressy or super casual. A very versatile jean. Versatile may as well be my middle name, because that’s what I want in my closet – versatility. And, lots of it. Just ask my husband, if it’s not versatile, then I don’t buy it. I bought my first pair from j.crew factory after I had my baby, and let me tell you, they are so comfortable. I love jeans, and to have a little more “wiggle room” is welcomed, especially when I was trying to lose the last of the baby weight. They are the perfect style for that post baby look you want, and even well after you’ve lost the weight, like I have. 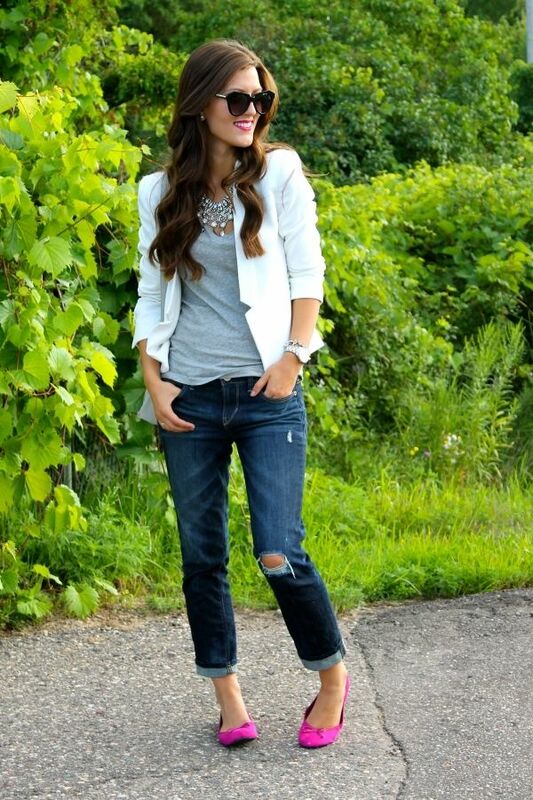 Below are some of my favorite boyfriend style jean looks. 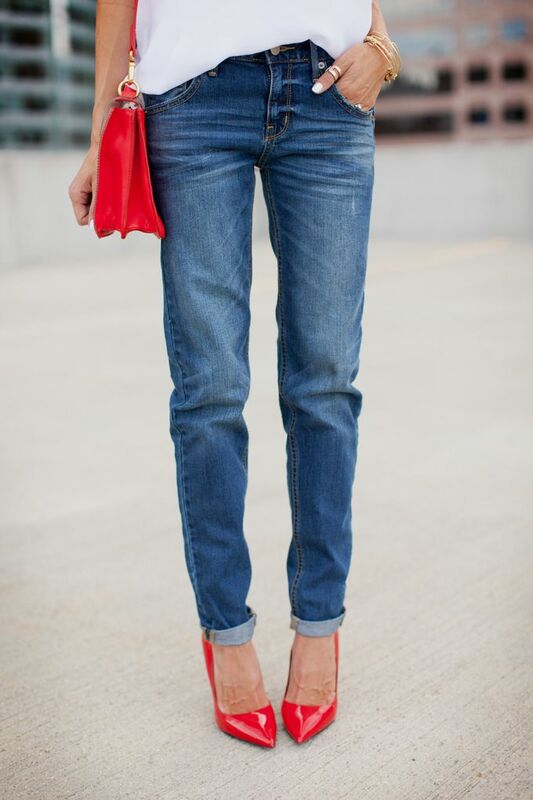 Do you like “boyfriend style” jeans? If so, do you wear them dressed up? Dressed down? Or do you wear them somewhere in between these two ways? What brands of these jeans do you love best? I’m looking to add my second pair now.